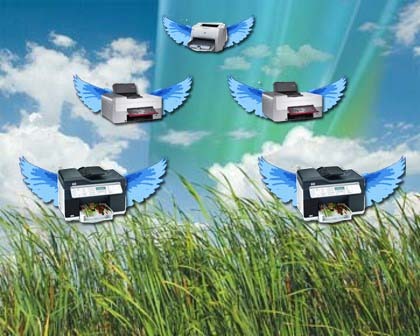 Migrating Printers from One server to the other can be a harmless process and here’s how! First download “Windows Print Migrator 3.1” usually found here if not google it Open the printer migrator on your Old server ( The one you wish to transfer the printers from ) and Select the Action Menu then Backup This will backup all your printers drivers , shares and names etc to a cab file Open the printer migrator on your new server , and Action Menu then Restore. This now replicates the printer setup you had on your old server. All that needs to happen now is the clients need to readd the printers using the new server. This can be automated with this script saved as a .vbs and entered under a group policy for the OU Click on the more to see the code!